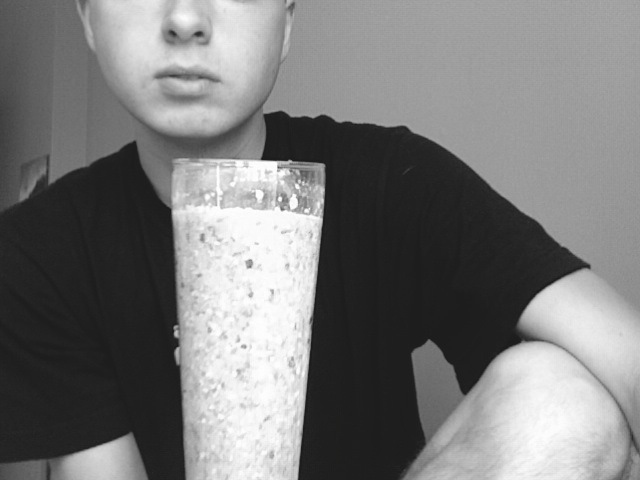 This smoothie is super watery, but thick at the same time. The hunk of smoothie dissolves and dilutes once it hits your mouth. Not my favourite, but the almond is nice though. Can I just have a Jugo Juice in my room? I'm starting to feel a lot better. I've been less lazy (lazy due to no energy), and have been working more, and am scheduled a lot next week. I still haven't been eliminating much, so I think I'm going to invest in a laxative tea Beth suggested, called Smooth Move. I'm trying to think of reasons why this is happening, besides the lack of fibre in bran/starch form. I haven't been moving around a lot, so I increased my walking and overall movement and whatnot. I'm going to hot yoga today at noon with Claire so hopefully that will induce a little something something. We will soon see. Have lovely weekends, friends and lovers!